Item # 319498 Stash Points: 9,995 (?) This is the number of points you get in The Zumiez Stash for purchasing this item. Stash points are redeemable for exclusive rewards only available to Zumiez Stash members. To redeem your points check out the rewards catalog on thestash.zumiez.com. 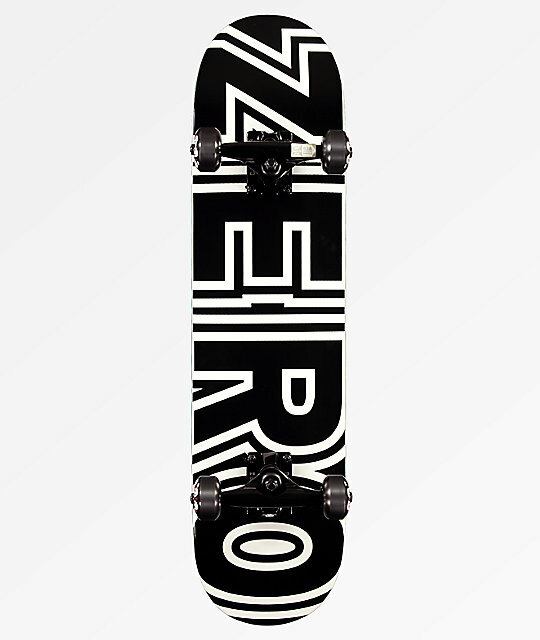 Ideal for both beginners and youth alike, Zero Skateboards presents their Bold 7.25" Skateboard Complete. 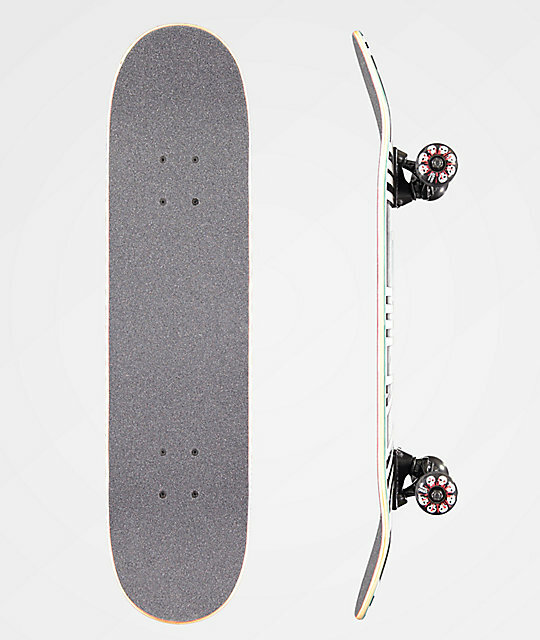 This pre-assembled board comes ready to skate right out of the box, equipped with Zero trucks, wheels and bearings while the deck showcases the brand's signature logo script in a bold black and white design. Bold Logo 7.25" Skateboard Complete from Zero. Black grip tape applied to deck.